How Do I Know if Everlance is For Me? For a basic overview of the Everlance features, please check out the Android Everlance tutorial by clicking here. Whether you are in business for yourself or you are reimbursed by your employer, logging your expenses and mileage can be a pain, so we’ve designed Everlance to make tracking your mileage and expenses a breeze. Please complete the following steps to optimize your experience with Everlance. Let us know if you have any questions! Everlance’s auto-detection feature tracks your mileage so each recorded trip is a potential tax deduction. It’s important to optimize the tracker accuracy! 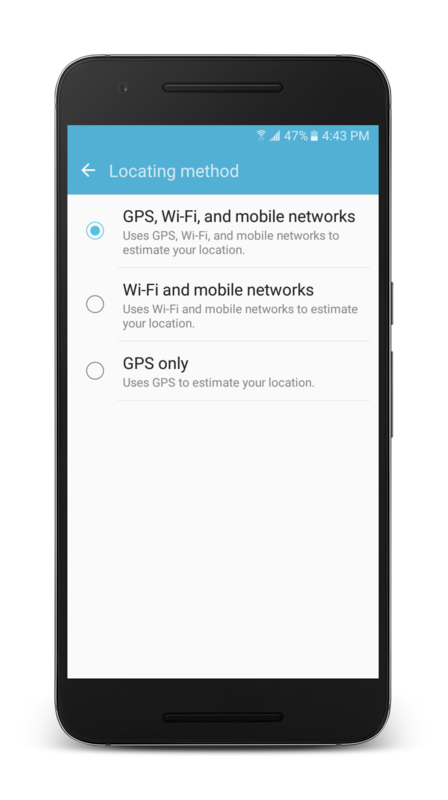 For Location in Android, go to Settings > Security & Location > Location > Mode > High Accuracy. For Wi-Fi in Android, go to Settings > Network &Internet> Wi-Fi> On. Enabling your Wi-Fi will significantly improve location accuracy. Step 2: Classify your miles! For most freelancers and employees, their expenses are vehicle-related. The IRS requires people to report their expenses using one of two methods: Actual Expenses or Standard Mileage Rate. For the vast majority of freelancers, the Standard Mileage Rate is not only more convenient but worth a substantial amount more. In 2019, the IRS Standard Mileage Rate is $0.58 per mile; if you drive 10,000 miles for your business, that’s $5,800 worth of expenses you don't have to pay taxes on! In order for Everlance to help track this for you, you need to tell us which miles are business-related and which are personal. Do this by going to the Trips tab and swiping LEFT on trips for Personal/Medical/Charity/Other or RIGHT for Work. You can also disable the automatic tracking feature from the Tracker Settings tab by sliding Auto Detection to ON or OFF. We recommend using the auto-detect tracker since it will automatically create a digital receipt of your trip which is helpful for documentation purposes (e.g. proving to the IRS). PLEASE NOTE: automatic tracking is still not 100% accurate! There are a lot of external factors Everlance cannot control (such as driving through an area with poor reception, etc. ), but we’ve designed the app to be highly accurate and we are always improving. 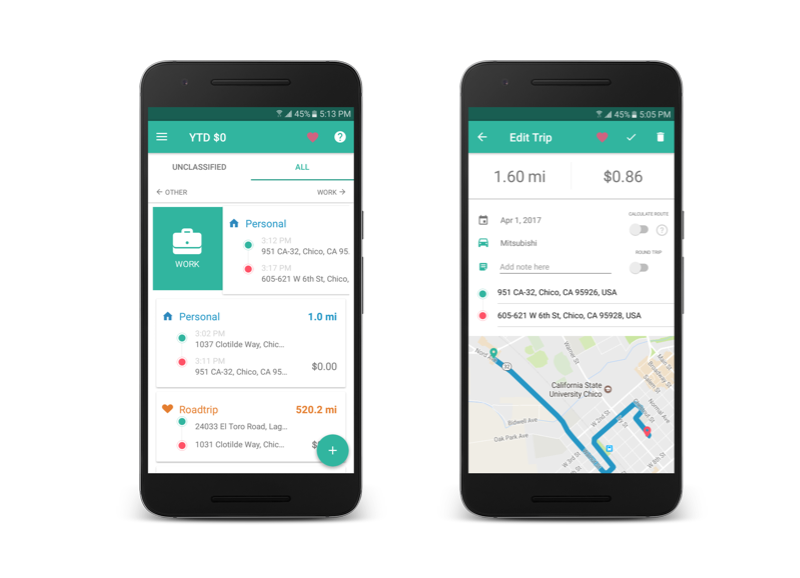 If you make frequent stops when driving (such as for Uber or Lyft), we recommend manually starting your trip with “Start Tracker” from the home screen. Of course, there are other expenses outside of mileage and car maintenance, and Everlance can help record these! The basic rule the IRS will use to assess whether an expense is legitimate is whether it is deemed “Ordinary” and “Necessary” for your line of business. You can read more on their guidelines from the IRS here. In order to add your revenue or expenses, you can sync your bank with the app so it records your transactions automatically! For this Premium feature, please click here to learn how to set up automatic transactions. 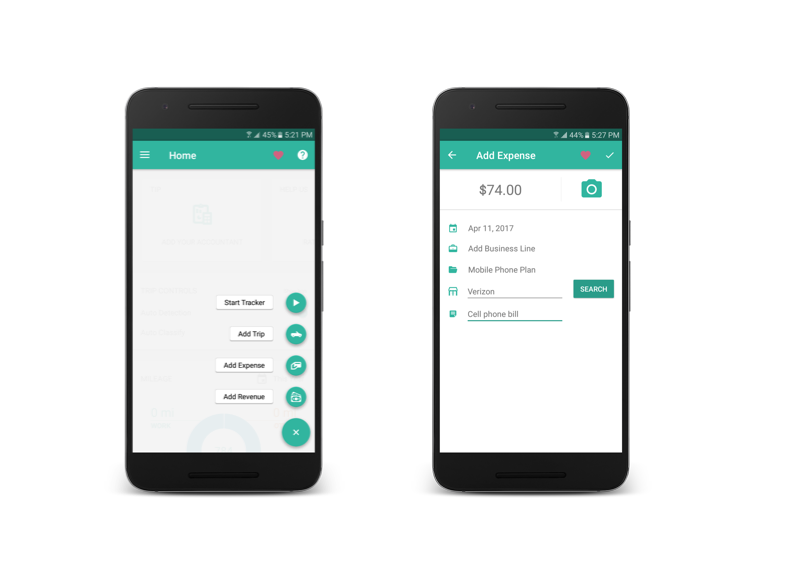 To add an expense in manually, simply tap the green “+” in the bottom right of the Home Screen and select the transaction type you need. Be sure to check out our Web Dashboard! If you want to try all of these features on a computer instead of your mobile device, please check out our web Dashboard by clicking here. How Can I Get Started With Everlance? How much battery does Everlance use? How Can I Add a Business Line to my Account?